We have grown continually in response to customer demand thanks to our flexible, can-do approach to meeting diverse requirements, establishing many successful long-term client relationships. A planned preventative maintenance (PPM) contract to cover the ongoing requirements of existing installations. A timely, reactive service providing immediate response to unforeseen problems or emergencies. It goes without saying that Kimpton engineers are fully conversant with current legislation and approved codes of practice. On hand 24 hours a day, 365 days a year, we can provide fast, effective diagnoses for any heating, cooling or ventilation problems with many of our customers enjoying a 4 hour response time. Whilst our Service & Maintenance division has the capability to operate on sites throughout the country, the need for quick and efficient response times dictates a largely North West based client focus and we continue to hold long-term PPM contracts with some of the region’s leading organisations. Making the most of over thirty years’ experience of formulating and managing Planned Maintenance Contracts, we are fully focused on maintaining high levels of customer service, supported by our development of a state-of-the-art central Field Service Management System (FSMS). Our FSMS provides a sophisticated, integrated approach to managing field-based staff. Its unique method of synchronisation between PDAs and the robust central database ensures reliable and secure transfer of information about jobs, assets and safety checks between engineers, office and clients. The application of PDA and FSMS technology has been tailored to meet our requirements and, more importantly, those of our clients. It is quick and easy for our engineers to record job completion, making it an extremely efficient method of gathering data in the field. Engineers can view Planned Maintenance Checks and Instructions Sets and log the outcome of each task on the PDA. Data is validated and measured against pre-defined criteria, which supports better accuracy of communication, improved efficiency on site and accurate, comprehensive maintenance and safety checks every time. Once the PDA job information is received by our central database, the system can generate safety certificates, heating and air conditioning reports, equipment check lists and other miscellaneous reports. Equipment requiring urgent action can be identified and dealt with accordingly. 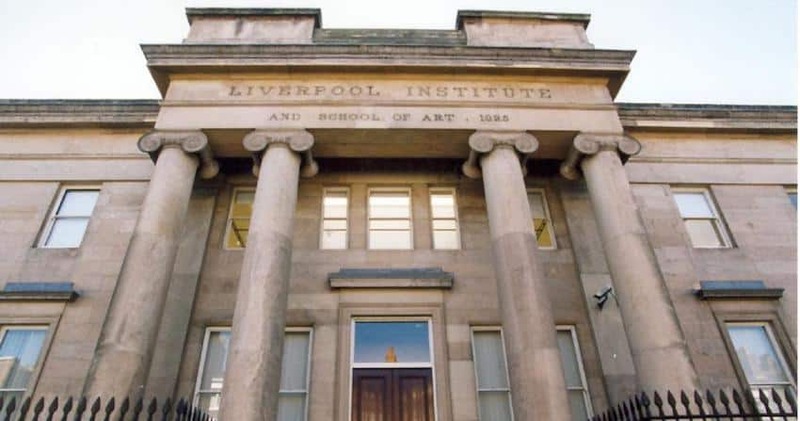 Founded in 1996 by Sir Paul McCartney and Mark Featherstone-Witty, the Liverpool Institute for Performing Arts is dedicated to providing the best teaching and learning for people who want to pursue a lasting career in the arts and entertainment economy, whether as performers or those who make performance possible. The original project involved the complete refurbishment of the Grade II listed building which dated back to 1825 and had formerly been McCartney’s old grammar school. Conversion of the original site into LIPA required a highly complex building refurbishment, with Kimpton’s Contracts Division responsible for the original mechanical services installation at the site. The need to maintain the overall character of the listed building whilst accommodating the specific heating, ventilation and acoustic requirements of a modern auditorium venue presented a very challenging project. A rolling planned preventative maintenance (PPM) programme sees Kimpton Energy Solutions maintain monthly checks and assessment of all building services plant, augmented by call-outs and breakdown response in the event of any unforeseen problems. A wide range of high efficient boiler plant, air handling and air conditioning units, pumps and pipe work require ongoing service and maintenance with additional dedicated bi-annual programmes of work carried out by Kimpton at Christmas and LIPA’s ‘dark period’ in July when academic activities are at their quietest, and inconvenience to staff and pupils can be minimised.